← Le Salon de Thé de Joël Robuchon high tea set review – one sandwich short of a picnic? 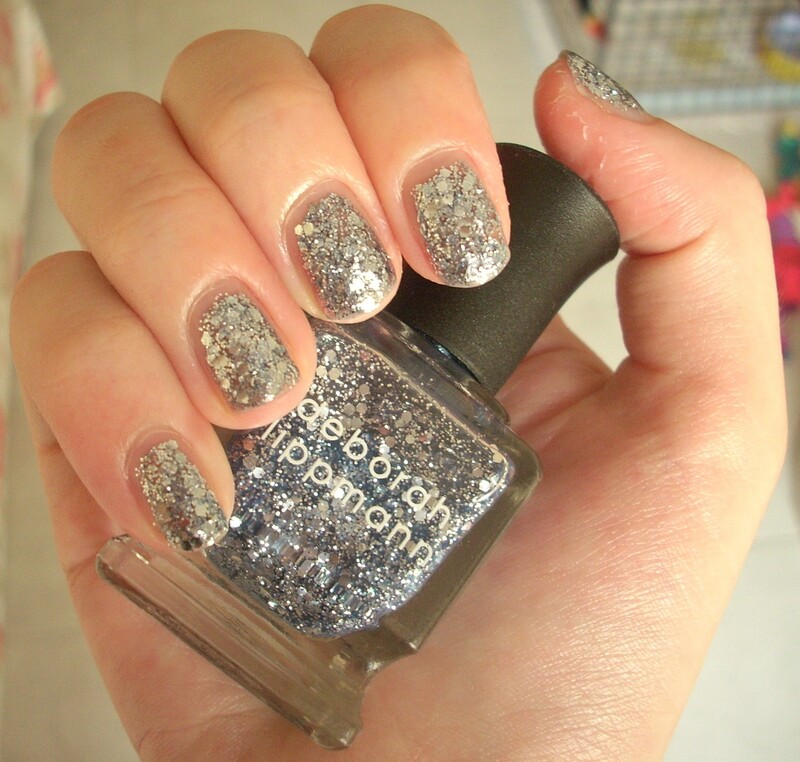 Here’s a polish to appeal to everyone’s inner magpies – Deborah Lippmann’s Today Was A Fairytale. Today Was A Fairytale is an absolutely breathtaking silver glitter that leaves all other silver glitters in the dust. 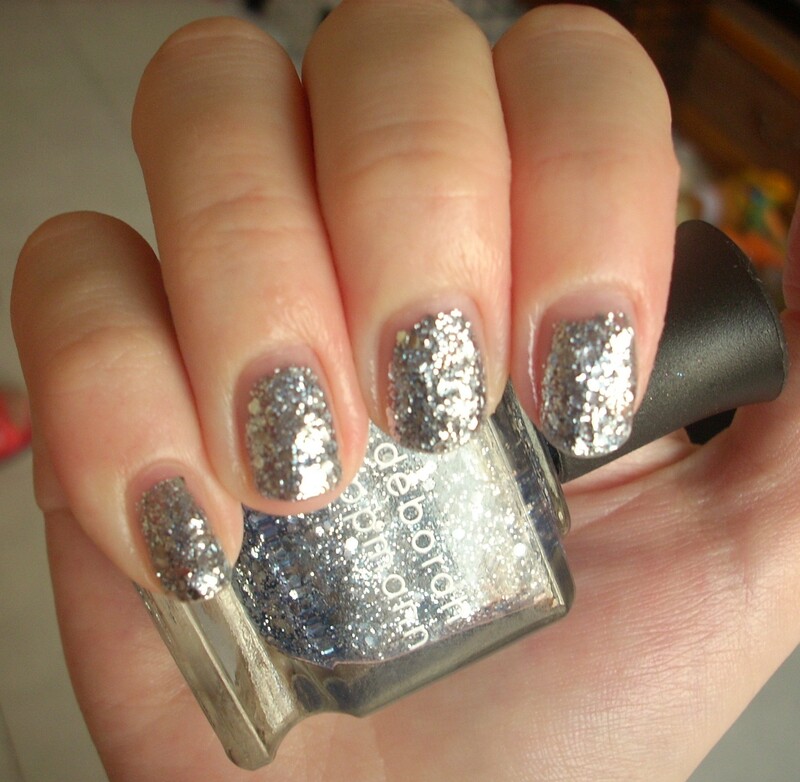 Featuring tonnes and tonnes of small silver glitter and larger hexagonal silver glitter suspended in a transparent base, this polish has ‘Virgin Diamond Powder’ amongst its ingredients (how that differs from non-virgin diamond powder, I’m not sure!). I don’t think things could get much sparklier unless this used actual whole diamonds, right?! 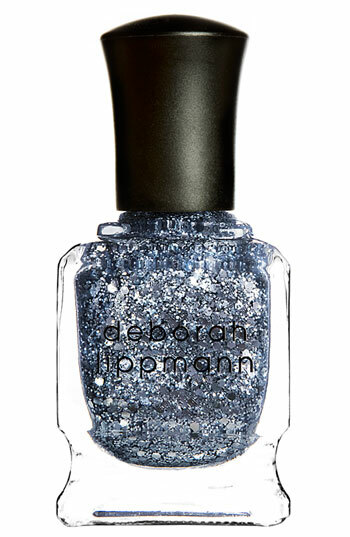 One thing’s for sure – Ms Lippmann certainly knows her way around glitter! Across The Universe was nothing short of spectacular and this is every bit as amazing. It’s so beautifully blingy, so sensationally sparkly, that it just looks like you’ve dipped your fingers into a bowl of crystals. It’s just jewel-drippingly gorgeous. Today Was A Fairytale is also entirely befitting of the name (a Taylor Swift song, since you ask) as it does have an exquisite fairytale charm to it. Even though it’s such a show-stoppingly glamorous polish, it’s still pretty rather than overpowering, ethereal rather than overblown; the perfect polish for princesses, fairies and other magical beings. It’s also not just a silver glitter – from some angles, the silver takes on an enchanted steely blue cast that’s totally bewitching. What’s great about Today Was A Fairytale is that you get lots of bling for your buck. Unlike many other glitter polishes, the sparkles here are plentiful so you can get opaque coverage pretty easily (and the consistency of the varnish itself is pretty thick), although it could be easily used a layering polish too. The nature of the glitter pieces means that you’re better off with thick coats, so that the glitter sits and swims nicely in the transparent base as opposed to sticking out all over the place. 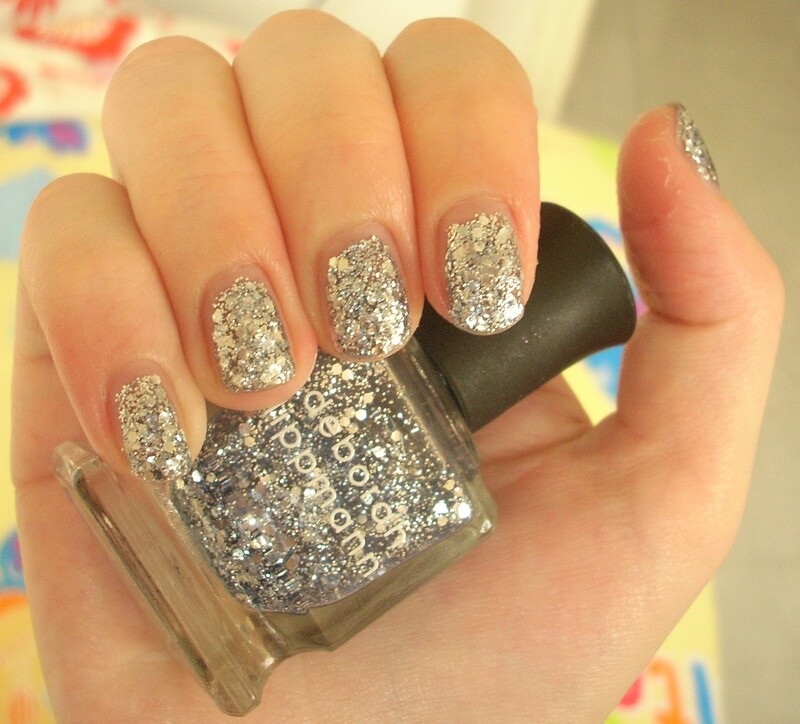 The difficulties with chunky glitters such as these are always the same however. They’re uneven, rough to the touch and chip and flake off easily without a top coat, which I never use! And they’re absolute hell to remove scrub off – although you will definitely want to keep this stunner on for as long as possible! Despite this, Today Was A Fairytale did perform better than expected. Many glitter polishes seem to gobble up their base liquid, meaning they look sort of dull and flat without a glossy top coat. But, if you can cope with quick tip-wear and snagging bits of glitter on your tights occasionally, Today Was A Fairytale does look absolutely divine just on its own, which is how it’s shown in all my photos. Gorgeous enough for ten nail polishes, romantic enough for twenty and dazzling enough for at least fifty, Today Was A Fairytale looks like someone distilled a magic spell into a bottle. Like all the best fairytales, it’s a certain case of love at sight. As for a happy ending? Well, with a polish this beautiful, that was never in doubt! 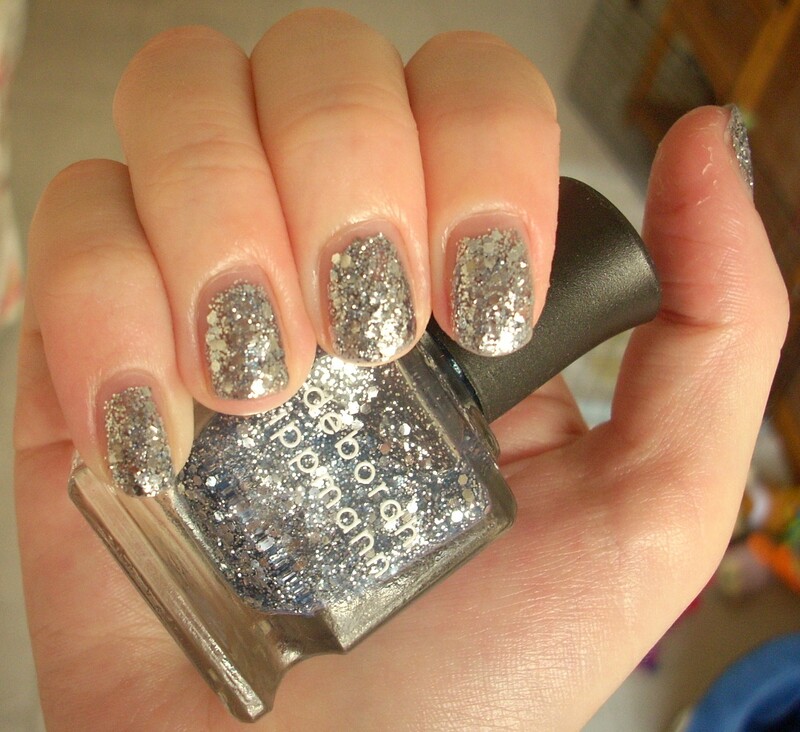 This entry was posted in Beauty and tagged Beauty, best glitter nail polishes, cosmetics, Deborah Lippmann, diamond powder, glitter, make-up, nail lacquer, nail polish, nail varnish, review, silver, swatch, Today Was A Fairytale. Bookmark the permalink. Mermaid god-like nail polish! This is amazing, and just 2 coats required.